The historical attachments between China and Bangladesh can be traced back to two thousand years. A number of factors, including trade relationship through the southern Silk route, the exchange between these ancient cultures, and their knowledge and technologies have historically fostered this relationship. The two countries have persistently promoted and deepened their political, economic, diplomatic and military relations over the years. The year 2018 marks the 43 rd anniversary of the diplomatic ties between China and Bangladesh. Experts say that the China-Bangladesh friendship is growing from strength to strength. With its export to Bangladesh crossing US $10 billion in the fiscal year 2015-2016, China has already become Bangladesh’s largest trade partner. The Bangladesh’s export to China is also on the rise. The total export to China was US $808 million in fiscal 2015-2016. Bangladesh’s annual exports growth to China has averaged about 30 percent per annum in the past 5 years. On the other hand, import growth annually averaged 23 percent. The two-way trade between the two countries could exceed US $ 30 billion by 2021. President of China Xi Jinping visited Bangladesh in 2016. Bangladesh and Chinese companies have signed trade and investment deals worth over US $13 billion, mainly covering infrastructure and energy sectors. This is in addition to US $20 billion in loan agreements the two governments signed. Despite healthy trade links between the two countries, there exists a huge trade surplus in China’s favour. To reduce the disparity, under the auspices of the Asia-Pacific Free Trade Agreement (AFTA), China removed tariff barriers to 84 types of importable commodities from Bangladesh and has been working to reduce tariffs on jute and textiles. These two are Bangladesh’s main domestic products. In a friendly gesture, China allowed duty-free access of nearly 4,750 Bangladeshi products to the country since July 2010. As a result, Bangladesh’s exports to China, especially garment items and jute and jute products, are gradually increasing from year to year. With the duty benefit, Bangladesh exported garment items to China worth US $341 million, registering 12 percent growth in fiscal 2015-2016. China, which has over US $200 billion domestic garment market, is becoming a major export destination for Bangladesh owing to its fast-increasing middle-class population. China has already become Bangladesh’s largest trade partner with its export to Bangladesh crossing US $10 billion in fiscal 2015-2016. The country’s export to China is also on the rise. Bangladesh offers China promising opportunities for investment, especially in the infrastructure, energy, pharmaceutical, RMG, FMCG and IT sectors. The government of Bangladesh actively seeks foreign investment and offers a wide range of investment incentives under its industrial policy and export-oriented growth strategy. Bangladesh has the lowest wage rates among the world countries, which has fueled an expanding industrial base led by its ready-made garment industry. At present, there are no significant private investments from China in Bangladesh. Prospective Chinese investors could exploit the investment opportunities available in Bangladesh and come forward with more investments. Bangladesh is ready to extend its full cooperation to facilitate any Chinese investor who is interested to invest in Bangladesh. With a boost in mutual trust and cooperation, bilateral relations between Bangladesh and China have reached a new height that could be used for greater economic growth and benefits of the people of both the countries. The members of the Foreign Investors' Chamber of Commerce & Industry (FICCI) are some of the biggest corporate houses in Bangladesh. At present, the chamber comprises 190 members, operating in manufacturing, trading and service businesses and has been playing a catalytic role in the development of Bangladesh by attracting foreign investment. China of late is keen to invest in Bangladesh. It has emerged as the largest trade partner of Bangladesh. China will be the top investor in Bangladesh within a short period of time. At present the United States (US) is top investor in Bangladesh. However, China would gain the top position in terms of foreign direct investment (FDI) in Bangladesh as the Chinese company is taking over the US giant oil exploring company Chevron; the US oil giant Chevron Corporation on April 24, 2017 announced that its wholly-owned subsidiary, Chevron Global Ventures, Ltd., has entered into an agreement to sell the shares of its wholly-owned indirect subsidiaries operating in Bangladesh to a Chinese consortium named Himalaya Energy Co Ltd. The potential of Bangladesh has been exposed to the Chinese investors, who are showing deep interest to invest in Bangladesh. But Bangladesh has to ensure congenial investment environment to attract the Chinese investors and others. China listed a good number of hurdles like scarcity and high price of land and inadequate infrastructures and that of the energy. It is alleged that Chinese company was assured of gas connection two years back but the company has not got the gas connection. China also complained about problem of L/C settlement. Banks did not pay the money after completion of all L/C formalities. The Chinese government urged the government and the FICCI leaders to come forward to resolve all problems to encourage the Chinese investors to invest in Bangladesh on large scale. 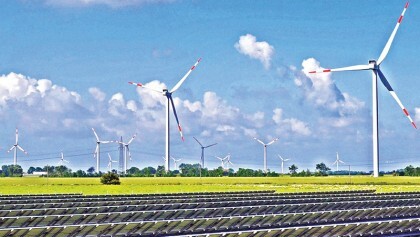 Chinese investors would welcome reliable partners from Bangladesh, but they would discourage the commission seekers. Despite all obstacles, Chinese investment has been increasing over the years. In the year 2016 China invested about US $41 million, which was 30 percent higher compared to previous year 2015. Pointing to the trade gap between Bangladesh and China, China said that it exported goods to Bangladesh worth US $14 billion and imported less than US $1 billion. Investment from China would help to reduce the trade gap between the two countries. Chinese investors are interested to invest abroad as labour cost is rising in the giant Chinese economy. Labour cost in Bangladesh is very much low compared to China. But the low labour cost is not alone sufficient to attract the FDI because labour cost in the African countries is also very much low. Bangladesh should have to be competitive in other sectors also. 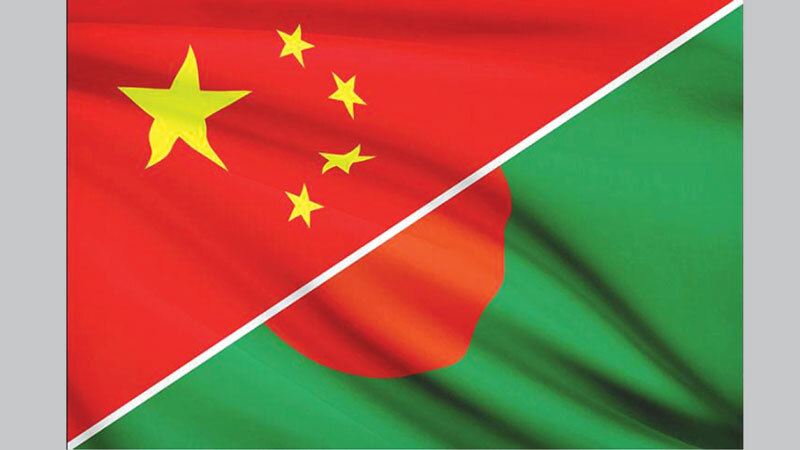 China urged Bangladesh to diversify the production base to utilise potentials of the Chinese market. As for example, Chinese consumer purchases a pair of shoes made in Bangladesh, it will help export the product from Bangladesh to China. The Chinese government has taken up massive task to create opportunity for the Chinese investors abroad. A total of 50 economic zones would be developed in the different corners of the world, including one in Bangladesh. Pointing to the one zone and one way approach, it said this would increase investment opportunities and trade, and road, rail and sea connectivity. 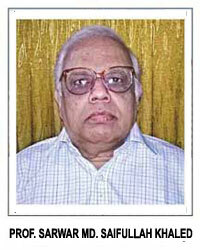 Bangladesh would be benefited from this approach and would find huge job opportunities for its people. China maintains that Bangladesh has been positive about one zone and one road approach.